Dave Thomas, based at technology giant Siemens’ Congleton site, was among an array of influential industry experts at ‘CONVERGENCE’ on Tuesday (February 13), a digital arts event developed through Cheshire East Council’s SHIFT programme and the WEAVE network. 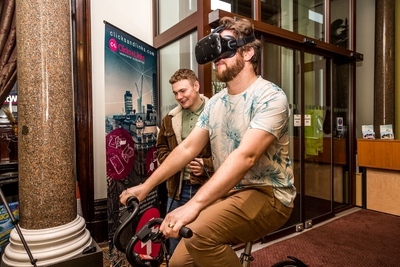 Crowds packed out the town hall where they were treated to exhibits that included an Ordnance Survey-backed virtual reality (VR) bicycle tour, along with a computer-generated observatory simulation developed with assistance from engineer firm Arup. 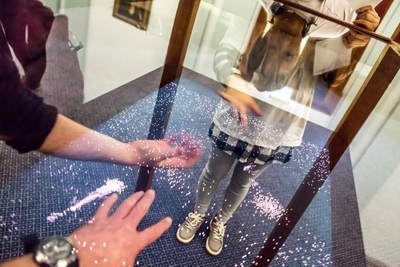 There was also a movement-generated screen display that had previously wowed, and calmed, commuters at Crewe train station and a historically-inspired sensory sound-and-smell installation developed at the National Trust’s Little Moreton Hall in Cheshire. The event sought to demonstrate how creative arts and new technologies can combine positively, boosting health and wellbeing, offering educational opportunities and potentially developing solutions to significant issues; for example, using VR to help authorities forecast the viability of new highways traffic measures or to support the health service in finding diagnostics. 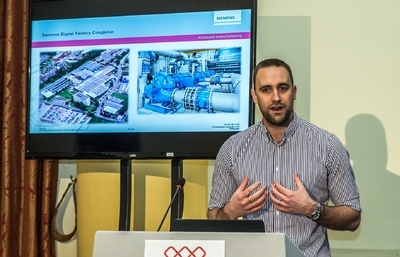 Reflecting on the use of virtual reality and robot assistance – showcased in different forms at CONVERGENCE, whilst also utilised at Siemens’ Cheshire base – Mr Thomas said: “We are currently living through an industrial revolution. He was joined to speak on stage by the CEO of the Foundation for Art and Creative Technology (FACT), Mike Stubbs, and Erinma Ochu, a lecturer in Science Communication & Future Media at the University of Salford. Joanna Shannon, of Cheshire East Libraries in Macclesfield, was an attendee who was curious to try ‘The Living Sculpture’, devised by artist Laurence Payot. The installation requires two users to place their hands under a digital screen and use movement and interaction to form shapes and designs. “It’s incredibly relaxing and I can imagine it being great for health and wellbeing. It’d be great to bring this installation to other spaces,” she said. Along with exhibits and talks, the event was also an opportunity for people working in technology and arts, or keen to develop a career in those fields, to network and find out more about how they might progress. Reflecting on the large turnout and sharing of ideas by a wide range of professionals, academics and interested observers, Denise Proctor, chair of event co-organisers Weave, spoke about the significance of this meeting of minds. As part of the SHIFT programme, the team behind the event was also responsible for launching the innovative Crewecraft project, which, thanks to almost £26,000 of funding from the Heritage Lottery, has captured the imagination of young people across the borough. Using the computer game Minecraft to re-create Crewe’s historic buildings in 3D digital formats, around 900 local children have been given an opportunity to develop their creative and digital skills.